Despite being misdiagnosed and often underreported, hidradenitis suppurativa is prevalent in 1%-4% of the worldwide population (1). As it is a chronic condition, the chances its recurrence are quite high. Have you developed red, hard bumps under your skin? Do these bumps connect under the skin and keep recurring, especially in your privates? While you may pass such bumps off as acne or boils, they could indicate something serious. Hidradenitis suppurativa can result in monstrous-looking lumps in different areas of your body. If you don’t avail treatment immediately, this condition can lead to complications. What can you do to stop hidradenitis suppurativa from flaring up further? What causes this unusual condition? Find answers to all these queries as you read through this post. Hidradenitis suppurativa is a chronic skin condition characterized by small, painful lumps that occur under the skin. This condition is medically known as acne inversa. It usually occurs in areas where parts of your skin rub against each other, such as your underarms, the fold between your buttocks, under your breast folds, or in your groin. Hidradenitis suppurativa begins as a small, single lesion in one region. This usually resolves spontaneously within a month or may rupture and leak pus. It may then begin to smell or cause tunnels under your skin. Hidradenitis suppurativa often occurs after puberty and can persist for years. It also tends to worsen over time if not managed well. The progression of the disease can vary from one individual to another. Hence, the following classification system is used to classify the disease into different stages. Hidradenitis suppurativa can be classified into the following stages. Hurley stage 1 – Formation of a single or few lesions with no apparent scarring or evidence of tunnels (sinus tracts). Hurley stage 2 – Formation of sinus tracts followed by recurring abscesses in different body parts. Hurley stage 3 – Formation of abscesses throughout the body accompanied by the development of sinus tracts under the skin along with scarring and leaking of pus. Hidradenitis suppurativa usually occurs around your hair follicles surrounded by sweat and oil glands, such as near your armpits and groin. It can affect one or multiple areas of your body and is characterized by the following signs and symptoms. Red bumps that are warm to touch – Such bumps can grow bigger and break open to drain pus. The drained pus often has a foul odor. These bumps may also itch and burn. Blackheads – They appear as small black fillings in pitted areas on the skin. Painful lumps – Small, pea-sized lumps that are hard to touch can also develop under the skin. Such lumps may prevail for years before becoming enlarged and inflamed. Tunnels – With time, these lumps on the skin may begin to connect under it through the formation of tracts. Such wounds heal quite slowly and leak pus. Let us now take a look into the causes of hidradenitis suppurativa. The clogging and inflammation of hair follicles is the main cause of hidradenitis suppurativa. However, researchers have not yet been able to determine what triggers the hair follicles to clog. Certain factors can also put you at a higher risk of developing hidradenitis suppurativa. They are discussed below. Age – It is most common in individuals between 20 and 29 years of age. Gender – Women are at a higher risk of developing the condition than men. Family history – You are more likely to develop hidradenitis suppurativa if any of your close family members have had it. Underlying medical conditions like Crohn’s disease, diabetes, severe acne, arthritis, etc. can also put you at a higher risk. Hidradenitis can be painful and difficult to manage. However, you may be able to relieve its symptoms with the help of some home remedies, like the ones mentioned right below. Dab some virgin coconut oil onto a cotton swab. Apply it to the affected area. Leave it on until it dries. Rinse the affected area and pat dry. 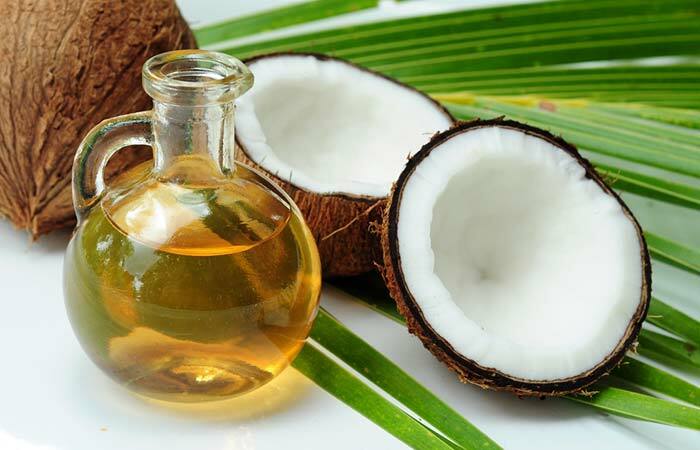 Virgin coconut oil possesses anti-inflammatory properties (2). It may help in reducing the inflammation in the affected area and soothing the boils in the affected area. Allow the compress to cool for a second and apply it to the affected area. Leave it on for a minute. The warm compress improves circulation, helps in draining excess pus, and also reduces the inflammation associated with boils (3). Hence, it may help in speeding up the healing of boils that accompany hidradenitis suppurativa. Using a cotton swab, apply organic honey to the affected area. 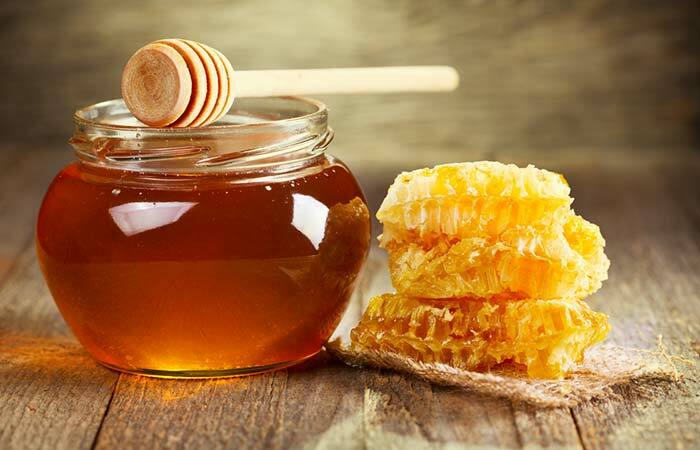 Honey possesses both analgesic and anti-inflammatory properties (4). These properties make it a great option for healing the painful and inflamed bumps caused by hidradenitis suppurativa. Take a teaspoon of turmeric powder and add a few drops of water to it. Mix well to form a thick paste. Leave it on for 20-30 minutes before rinsing it off with lukewarm water. You can also drink a teaspoon of edible turmeric powder mixed with a glass of hot milk for additional benefits. The major component of turmeric, curcumin, displays significant anti-inflammatory properties (5). These properties can help alleviate the symptoms of hidradenitis suppurativa. Add a drop or two of tea tree essential oil to one to two teaspoons of sweet almond oil. Mix well and dip a cotton swab/pad into it. Apply it to the affected area. 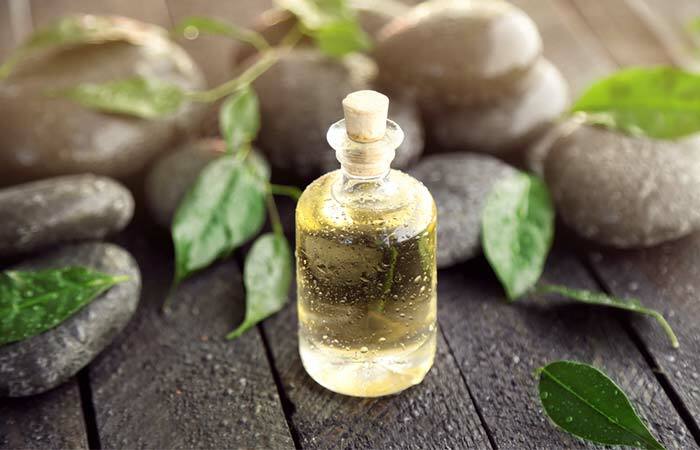 Tea tree oil offers multiple benefits for your skin. One of its useful properties is its anti-inflammatory nature, which may help in the healing of hidradenitis suppurativa (6). Extract some gel from an aloe leaf. Grind the gel well and take some of it on a cotton swab. Aloe vera is used for treating many skin disorders due to its anti-inflammatory properties (7). These properties can also be useful for managing the inflammatory symptoms of hidradenitis suppurativa. Take some neem oil on a cotton swab. Apply a thin and even layer to the affected areas. 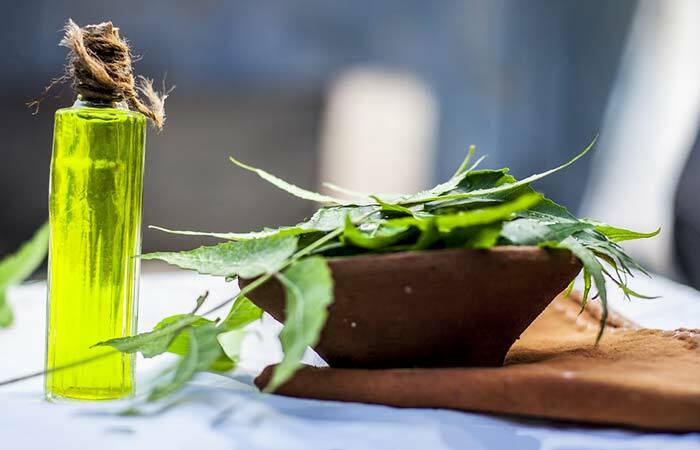 Neem is a powerful anti-inflammatory agent and widely used to treat many skin infections (8). These activities of neem can also help in speeding up the healing of the pimple-like bumps that surface with hidradenitis suppurativa. Add a tablespoon of apple cider vinegar to half a cup of water. Mix well and dip a cotton pad into it. You can also leave the cotton pad on the skin for better results. Rinse it off after 20-30 minutes. Drinking this mixture can also help. 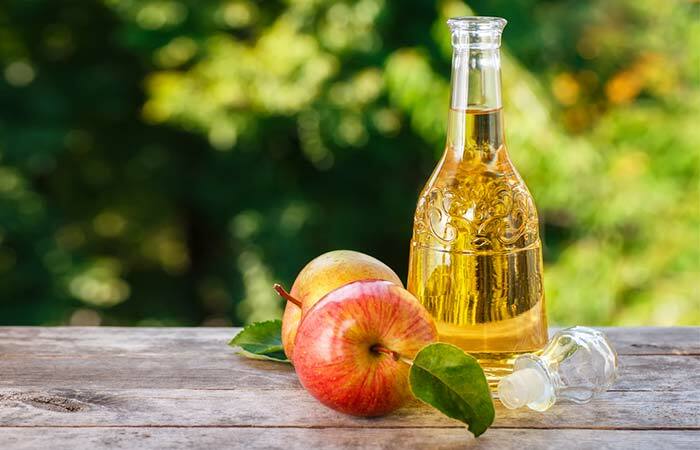 Apple cider vinegar exhibits quite impressive anti-inflammatory properties that can play an important role in improving the inflammatory symptoms of hidradenitis suppurativa (9). Consume zinc supplement daily. 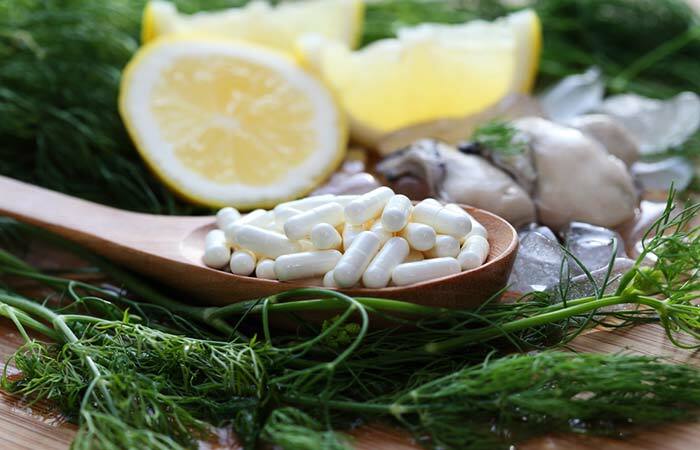 Consult a doctor before taking any additional supplements to find the suitable dosage for you. Consume this as per your physician’s directions. In a study published in the journal Dermatology, zinc supplements were found to alleviate the symptoms of hidradenitis suppurativa (10). These remedies can help reduce the symptoms of hidradenitis suppurativa and may also prevent them from worsening. Your diet can also play a major role in managing hidradenitis suppurativa. Altering your diet can help reduce the symptoms of hidradenitis suppurativa and can also speed the healing of the bumps. Fiber-rich foods like fresh fruits, veggies, lentils, etc. to keep your hormones and blood sugar level balanced. Omega-3 rich foods like fatty fish, walnuts, avocados, etc. to fight inflammation. Dairy products – They can cause inflammation within the body and may also raise the levels of certain hormones associated with hidradenitis suppurativa (11). Sugar – Sugary delicacies can cause your blood sugar levels to spike as well as inflammation within your body. Avoiding them can help improve the symptoms of hidradenitis suppurativa (11). Brewer’s yeast – This ingredient was observed to trigger hidradenitis suppurativa in some people. Hence, you should avoid foods that contain brewer’s yeast like beer, wine, fermented foods, etc. (12). You can also follow these tips to prevent the symptoms of hidradenitis suppurativa from recurring. Follow a healthy and well-balanced diet. Avoid shaving the affected areas. 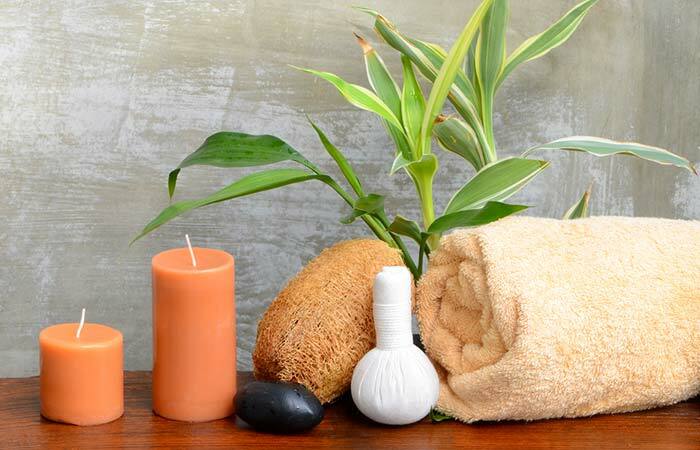 Take warm baths and maintain personal hygiene. Clean the affected area with a medicated soap daily. These tips and remedies will help in relieving the symptoms of hidradenitis suppurativa and accelerating healing. However, it is important that you know that there is no cure for this condition, and treatment is usually aimed at managing the symptoms and preventing flare-ups. Since hidradenitis suppurativa is a serious condition, it is recommended that you avail medical intervention to manage it successfully. The remedies and prevention tips should be used to complement ongoing medical treatments. Did you find this post helpful? Let us know in the comments box below. What is the difference between hidradenitis suppurativa, pimples, boils, and folliculitis? Hidradenitis suppurativa is often mistaken for other skin conditions like folliculitis, pimples, and boils. However, that is not the case. Hidradenitis suppurativa is a chronic skin disorder that causes hard bumps to appear on both sides of your body. Such bumps usually occur in areas like your groin, armpits, and between the buttocks. One of its main characteristics, which makes it stands out, is the formation of tunnels under the skin. Pimples may look a lot like hidradenitis suppurativa, but they usually occur on the face, forehead, chest, shoulders, or back. Boils also look quite a lot like pimples and hidradenitis suppurativa. They are also termed as carbuncles and most often caused by bacteria. They can occur alone or in groups. The boils occur mostly on the face, armpits, shoulder, neck, or the buttocks. Folliculitis is solely caused by the inflammation of one or more hair follicles. It is a result of a fungal or bacterial infection. It mostly occurs in areas where you shave. Which is the best soap for hidradenitis suppurativa? Soaps containing antimicrobial agents like chlorhexidine may help alleviate the symptoms of hidradenitis suppurativa. Dial White and Hibiclens are two such soaps. 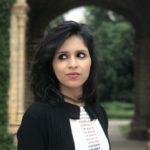 How to test for hidradenitis suppurativa? To diagnose hidradenitis suppurativa, your doctor will begin by asking about your signs and symptoms. A physical examination may follow this, and your medical history will also be analyzed. There is no specific diagnosis for hidradenitis suppurativa. But if drainage or pus is found, it may be sent for testing to rule out other skin conditions. What are the other treatments for hidradenitis suppurativa? Treatment for hidradenitis suppurativa is mainly aimed at alleviating and managing its symptoms. What happens if hidradenitis suppurativa is left untreated? Untreated hidradenitis suppurativa can result in complications like scarring, restricted movement, infection of the affected areas, changes in skin texture, and even depression. In rare cases, individuals may also develop skin cancer. When to see a doctor for hidradenitis suppurativa? See a doctor for hidradenitis suppurativa if you notice any of its symptoms like red, painful bumps. Early treatment can help manage the symptoms and prevent further complications. “Hidradenitis Suppurativa” StatPearls, US National Library Of Medicine. “Boils and carbuncles: How are boils treated?” Institute for Quality and Efficiency in Health Care, US National Library Of Medicine. “Analgesic and anti-inflammatory effects of honey: the involvement of autonomic receptors.” Metabolic Brain Disease, US National Library Of Medicine. 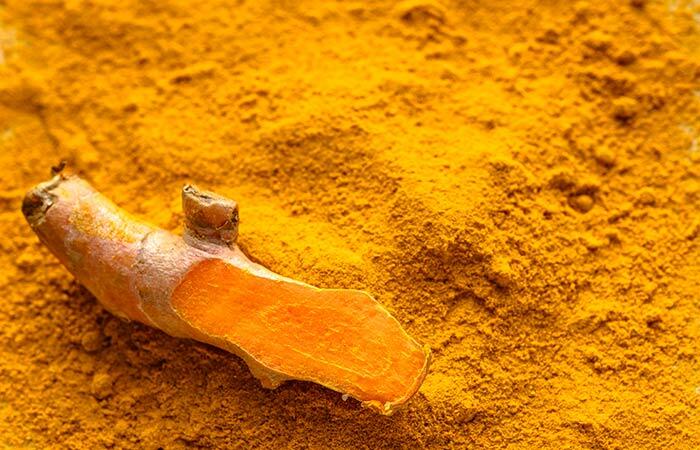 “Anti-inflammatory properties of curcumin, a major constituent of Curcuma longa: a review of preclinical and clinical research.” Alternative Medicine Review, US National Library Of Medicine. 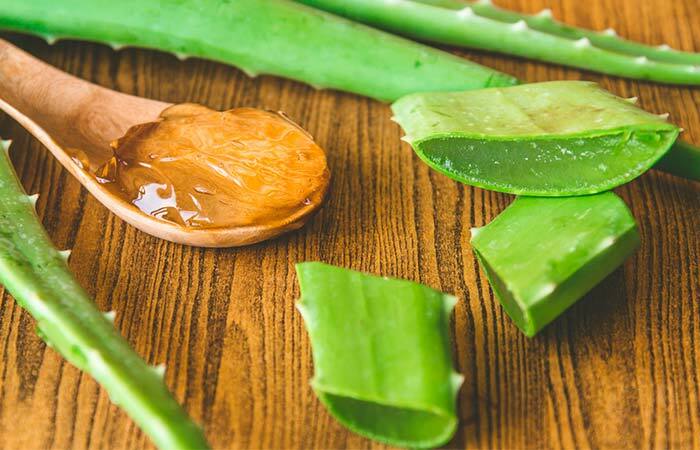 “Antiinflammatory activity of extracts from Aloe vera gel.” Journal of Ethnopharmacology, US National Library Of Medicine. “Therapeutics Role of Azadirachta indica (Neem) and Their Active Constituents in Diseases Prevention and Treatment” Evidence-based Complementary and Alternative Medicine, US National Library Of Medicine. “Anti-obesity and anti-inflammatory effects of synthetic acetic acid vinegar and Nipa vinegar on high-fat-diet-induced obese mice” Scientific Reports, US National Library Of Medicine. “Hidradenitis suppurativa and zinc: a new therapeutic approach. A pilot study.” Dermatology, US National Library Of Medicine. “Diet in the prevention of hidradenitis suppurativa (acne inversa).” Journal of the American Academy of Dermatology, US National Library Of Medicine. “New perspectives in the treatment of hidradenitis suppurativa: surgery and brewer’s yeast-exclusion diet.” Surgery, US National Library Of Medicine.